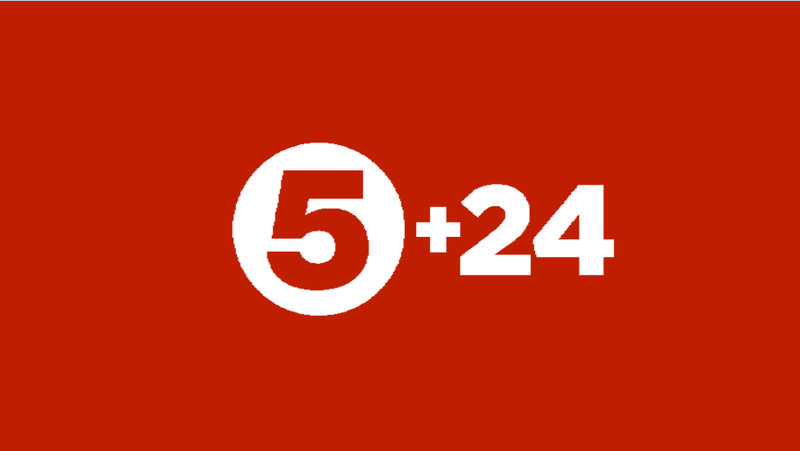 5 Later is to become Channel 5's new +24 hour catch-up channel "Channel 5+24". It will launch on the 4th February 2014. Between 7pm and midnight, the new channel will broadcast whatever Channel 5 was showing 24 hours ago. For the remainder of its broadcast hours, the channel will show teleshopping, except on Freeview where the channel will close down overnight, and return at 10am. A placeholder for 5 Later first appeared on Freeview channel 55 in August, along with an Ofcom licence and the service is expected to use some of the capacity that was previously used by now defunct terrestrial pay TV operator Top Up TV. In the autumn, an Ofcom licence was issued under the name of 5 Later for satellite and cable broadcasting. It is replacing 5*+1 on satellite and cable, which is understood to have had some of the lowest rated programmes on Channel 5's family of channels. It only broadcasting something that 'maybe' considered as 'worthy' (exception of teleshopping on loop) 7pm til Supercasino (around 12am to 1am). Supercasino can not be broadcasted again as for legal reasons but if they did they be bankrupt. Teleshopping the rest of the time - all upto 17 hours a day of it! Virgin is set to lose 5*+1 and Sky 5USA +1 slot for SD slot reasons is expected to go. Channel 5 it seems has not 'harmonised' which of its streams it wants to brand as the sacrificial lamb for the chop! Sky do not want new SD channels as they 'locked' EPG down, Virgin is not pleased with it either. Channels like High Street TV will be happy!